RUSH: I want to add just a little bit to the monologue I did in the last hour about why this immigration stalemate is such a great opportunity for people to learn the dangers of big government. Not to be repetitive, but to set this up, the American people opposed this because they don’t think that the federal government can do what it says it’s going to do in this bill. They don’t think the government can do it, and they don’t believe the people telling them from the federal government that they will do what they say. They don’t believe, when the federal government says, ‘The status quo won’t work.’ The status quo would work if it were enforced. There’s already legislation on the books to handle illegals. That’s why they’re still called illegals. Now, the point about this is, you have to understand, and this is a pretty stark statement I’m going to make here, but the political class wants to change their bosses. Bosses right now are us. The Democrats want to change their bosses to more and more dependent victims. This never-ending flow of illegals fills that bill well. In addition to being snookered, the Republicans in Washington are trying to outpander the Democrats because they’re doing this out of fear. The Republicans think, ‘Oh, my God, if the immigration bill passes, the Democrats are going to get credit, the Democrats are going to get all these voters.’ So you’ve got the Republicans out there trying to tell the Hispanics, ‘Hey we love you, too. You illegals, we love you too,’ and it’s not going to work. You can’t pander. It never does work. But here’s the thing. The political class wants to change the electorate, folks. They want to deemphasize or reduce your power over them at the ballot box. This immigration bill is an assault on us. It’s an assault on the American people. And you know it, and that’s why they’re having trouble. You don’t trust them; you don’t believe them; and you don’t think the government as it’s currently constructed and constituted can do what it says it’s going to do. You don’t believe that they can perform 24-hour background checks on 12 million people; when it takes you five days to get a gun; when they can’t issue a passport in three months. McCain-Feingold, that was passed to shut us up, and they made no bones about it. McCain-Feingold was expressly about eliminating criticisms of politicians at certain points in election cycles via television commercials. Taxes are raised, that’s an attack on liberty. It’s about control. A couple other immigration stories. I love these headlines. Actually, it’s one story in two different places. It’s basically AP story. ‘Day laborers sue Mamaroneck police — Workers No Longer To Be Asked About Immigration Status. Day laborers who successfully sued a Westchester village have won a tentative agreement that prohibits police officers from routinely asking their immigration status or otherwise discriminating against them, their lawyers said Monday. In addition, the village must pay more than half a million dollars of the workers’ legal fees.’ These are illegal immigrants, but they are being called day laborers here in this AP story. There are things like this happening all over the country, too, that people are being personally affected by. So they know that all this stuff is just a crock. They’re not believing any of it. It’s a great opportunity here. RUSH: All right. Let’s listen to President Bush, brief press conference after his meeting with members of Congress on the immigration bill. This is just about a half hour ago. THE PRESIDENT: Some members in there are — believe that we need move a comprehensive bill. Some don’t. I understand that. This is a highly emotional issue. But those of us standing here believe now is the time to move a comprehensive bill that enforces our borders and has good workplace enforcement, that doesn’t grant automatic citizenship, that addresses this problem in a comprehensive way. I would hope that the Senate majority leader has that same sense of desire to move the product that I do, or the bill that I do, and these senators do, because now is the time to get it done. It’s going to take a lot of hard work, a lot of effort. We’ve gotta convince the American people that this bill is the best way to enforce our border. I believe without the bill it’s going to be harder to enforce the border. The status quo is unacceptable, and I — I want to thank those senators from both sides of the aisle who understand the time is now to move a comprehensive piece of legislation. The White House will stay engaged. 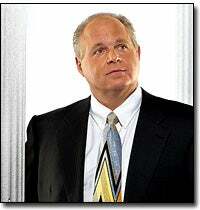 RUSH: I just don’t think people are going to buy that. I just don’t think that’s going to persuade. In the first place, what’s really wrong with this is this whole notion of comprehensive. Something this behemoth and big, there’s no way to control this. If you’re going to genuinely fix it, you pick one area of it at a time and you start and you do that, and it has to be the border.